New Hampshire is known throughout the world for its spectacular natural resources and its historical locations and buildings. 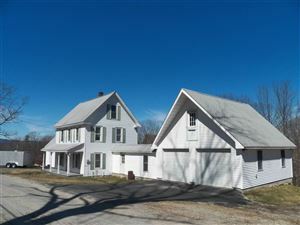 Buying beautiful Henniker NH real estate that is currently on the market will allow you to settle in to a relaxed rural lifestyle while still being only a short drive from all the modern amenities you need and want. See all Henniker NH Real Estate. In its first census in 1790, the town already had 1127 residents. Most of them were farmers, who were drawn to the area by the exceptional qualities of the soil and the level land surface found here. There were also wool and grain mills, utilizing the power of the Contoocook River. The completion of the Hopkinton-Everett Lakes Flood Control Project in 1959 reduced the available power that could be harnessed from the river and the mills were forced to close. The most recent census recorded a population in Henniker of 4836 people. Educational services, health care, and manufacturing are the largest employers today in Henniker. The Pat’s Peak ski resort employs a large number of people on a seasonal basis during the winter. Two State Forests,Amesand Craney Hill, are in Henniker. Craney Hill is home to a popular ski resort. Henniker has long been a tourist attraction because of its natural beauty. The Contoocook River has attracted visitors since the late nineteenth century. The Edna Dean Proctor Bridge, which spans the river today, was built in 1835. A wide variety of outdoor sports enthusiasts can indulge their passions. Camping, fishing, hunting, boating, bicycling and hiking, and white water kayaking are all available right in Henniker. The town can also claim the honor of being the place in which paintball was invented, in 1981. There are also town-sponsored athletic groups and a very active local snowmobile club. US Route 202 and state Routes 9 and 114 access the town. It is just 31 miles to Manchester, and 82 miles to Boston, Massachusetts. Henniker Community School educates children from kindergarten to grade 8. Older students attend John Stark High School in neighboring Weare. New England College is located in Henniker and attracts students from across New Hampshire and accounts for a large percentage of the town’s total population. Henniker New Hampshire homes can be found in many styles. True historic homes are available, as well as those designed in a compatible style. Sales have been fairly steady since 2009. To help you find the perfect Henniker NH real estate, be sure to connect with a professional NH Realtor. Moe Archambault has the local knowledge and the professional expertise to make the process run more smoothly and efficiently.